PURIM WAS HERE!!! 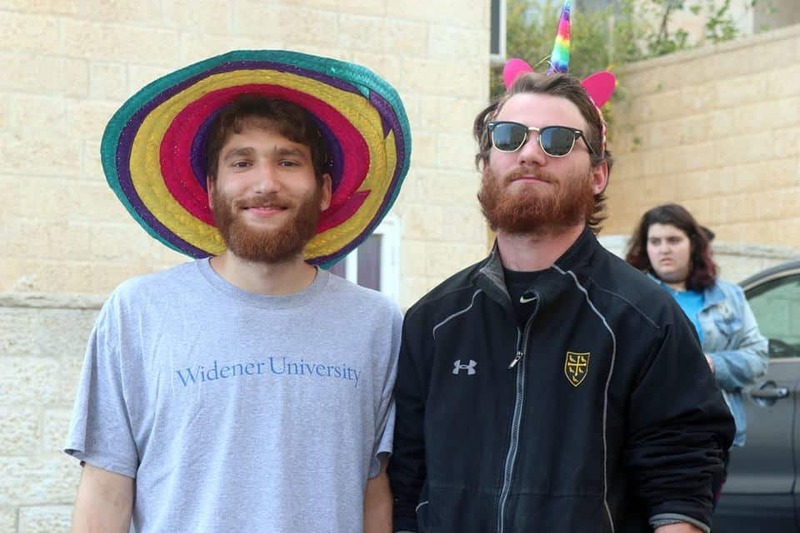 Purim is a Jewish holiday that commemorates the saving of the Jewish people from Haman, who was planning to kill all the Jews. This took place in the ancient Achaemenid Persian Empire. 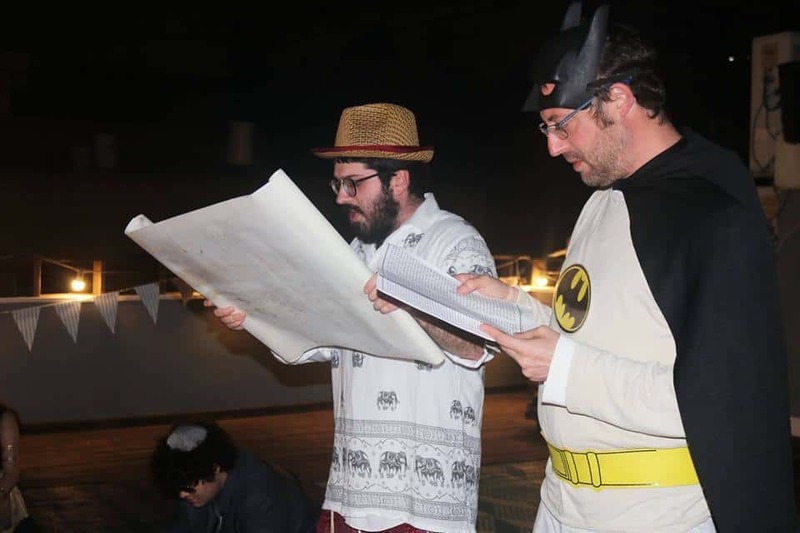 Purim is one of the most widely celebrated festivals in Israel, it is embraced by the entire country, from religious Jews in Jerusalem to secular Tel Avivians, and it is a time of festivity and celebration far beyond its original religious roots. 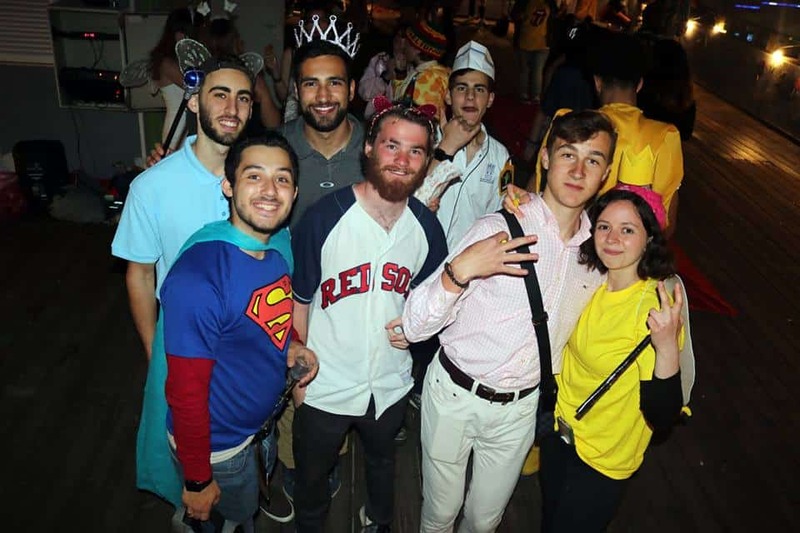 Purim parties take place across the country, with street parties with carnival atmospheres taking place in almost every city, town, and village. 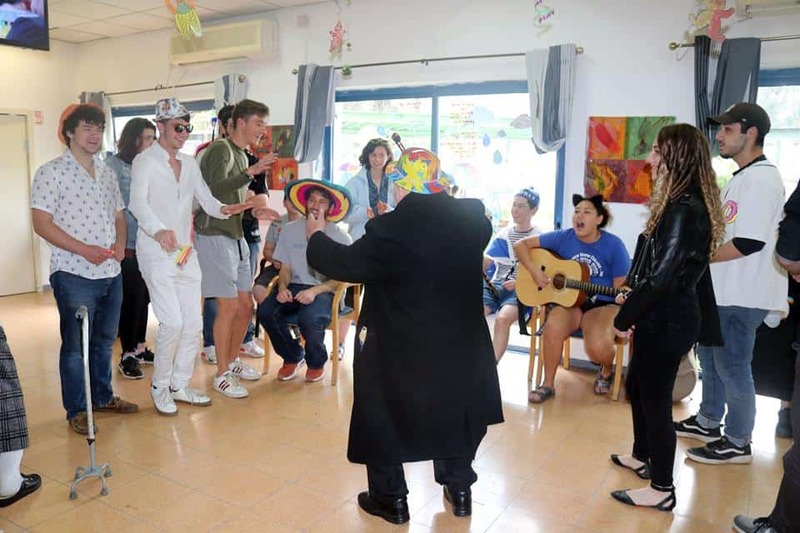 On Sunday, we started the week with Purim vibes throughout the building! Everyone was preparing for the festival, working on their costumes and preparing for the fun week ahead. 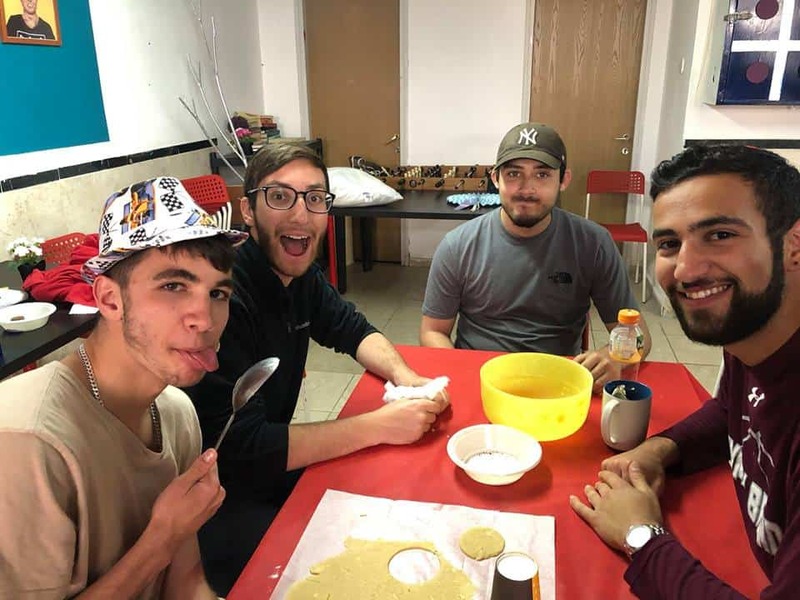 In the apartment meetings with our madrichim we learned the Purim story in depth and learned the 4 Mitzvot (Commandments) of Purim: Reading the Megillah, also known as the Book of Esther, sending mishloach manot, or gift baskets, the Seudah, or festive meal, and Matanot La’evyonim, giving to the poor. Monday, after internships and volunteering, all the students showed up to class in pajamas and drank hot cocoa for Pajama Day! On Tuesday morning, the Jerusalem students toured the Temple Mount (Dome of the Rock) and the Old City. 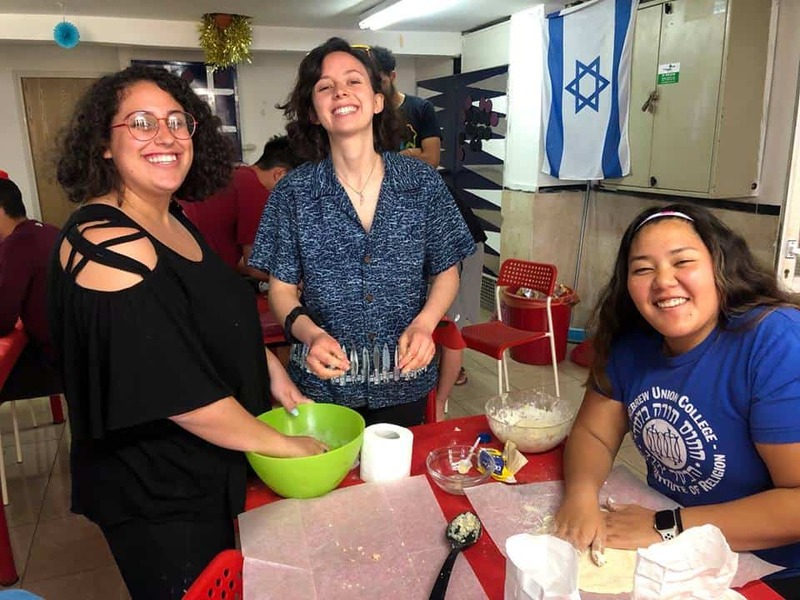 The day started at the Christian quarter of the Old City, where the students arrived at the Church of the Holy Sepulchre. The church is where Jesus is supposedly buried and it was interesting to tour the building and see the different halls, decorations, and displays within the church. From there, everyone headed to The Temple Mount (Dome of the Rock). It was crazy to fathom that 3000 years ago, people were cutting massive stones out of the earth and then hauling them up for the construction of the temple. It was incredibly surreal to be at the holiest place in Judaism and to learn a bit about the history of the Temple Mount itself. All of the students were in awe of the fact that they were in such a place that not everyone gets to see. We are incredibly lucky that we are currently in a peaceful time so we are able to go up to the Temple Mount and experience what’s at the Dome of the Rock. 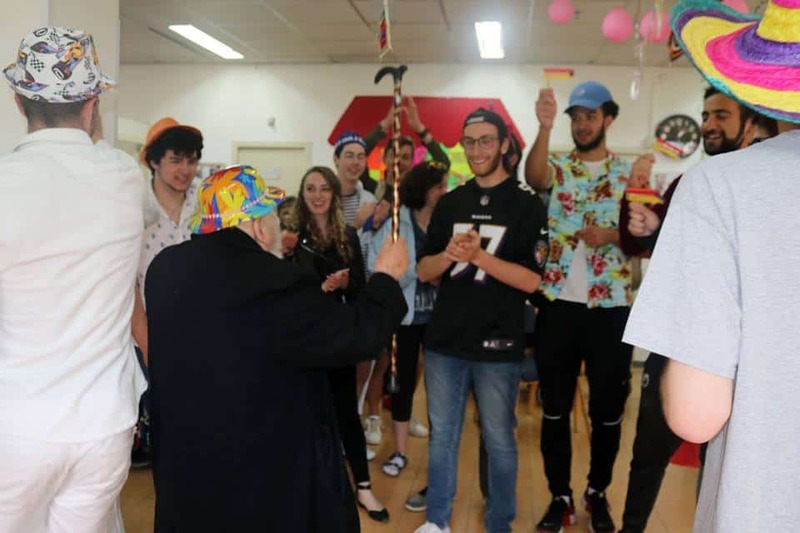 On Tuesday evening, the Culture Committee and Madrichim created an interactive Purim Monopoly Game. 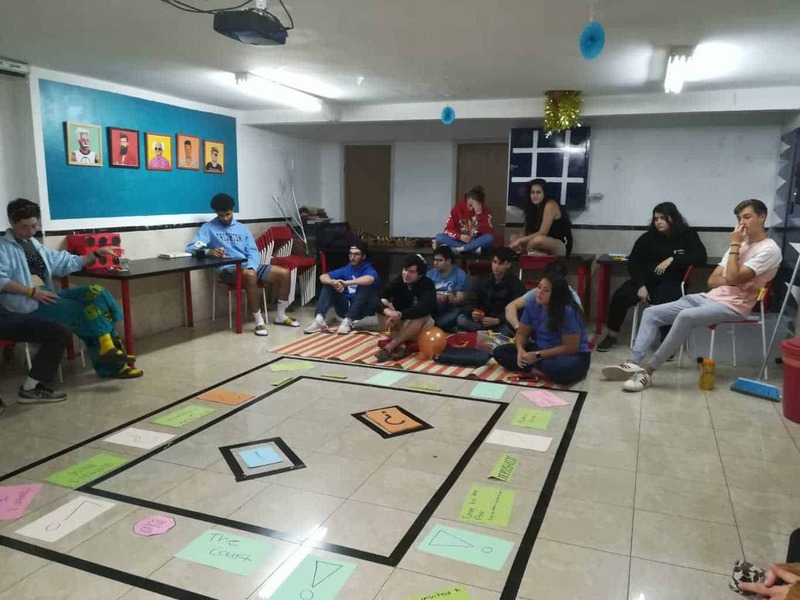 The students were split into teams based on characters from the Purim story, and had to make their way around the board to make it from Hodu to Kush. 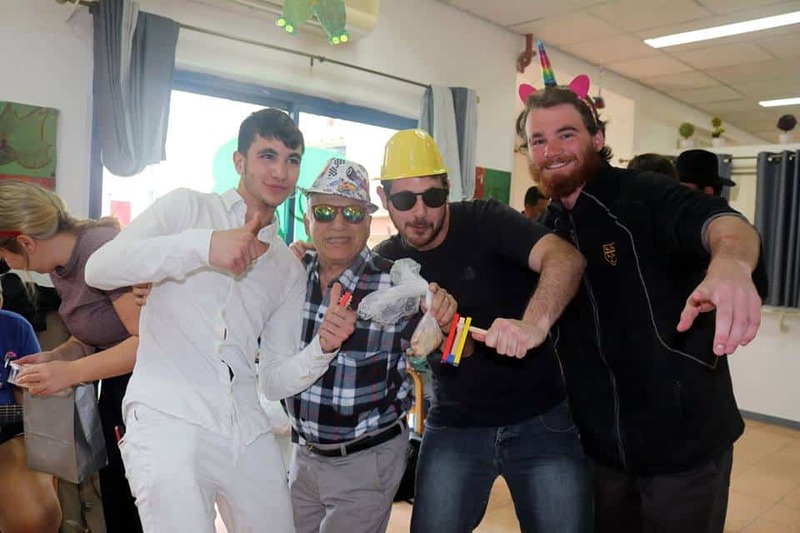 Along the way, there were Purim tasks the students needed to perform to keep going, with the goal of staying away from Haman’s noose (Purim equivalent of Jail in the Monopoly game). It was a fun and creative night filled with lots of laughter, thanks to our culture committee and staff! On Wednesday evening, we got on a bus to Tel Aviv and arrived at a crazy party on a beautiful rooftop covered in decorations. There were hotdogs, popcorn, cotton candy, and so much more. We heard the megillah and loved making noise every time that we heard Haman’s name. We then moved on to the costume competition. Everyone was very creative and original. Some students dressed up as the Fairly Odd Parents, a banana, and even Sandy and Danny from Grease! We are so proud of the time and effort our students put into their costumes. It was quite spectacular. 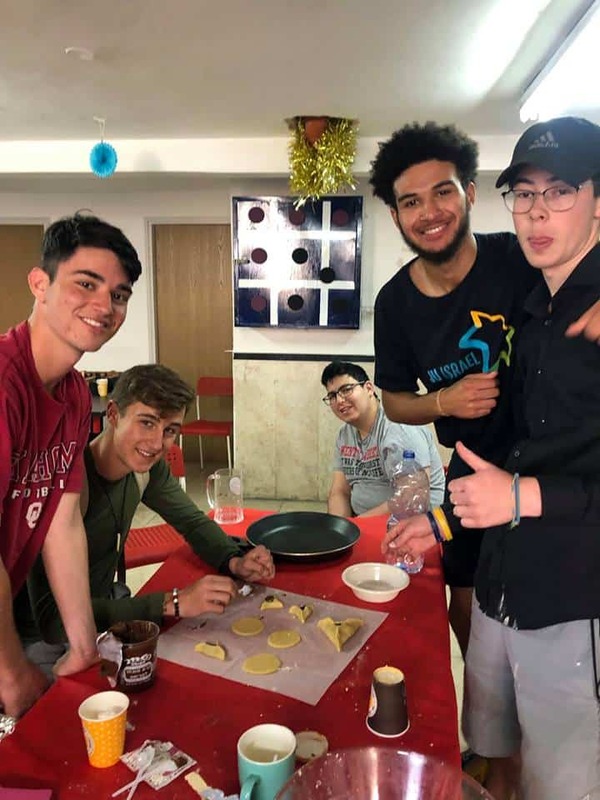 On Thursday morning we made Hamentaschen, Shalhevet taught us how to make them and then we went to deliver them to the local old age home. 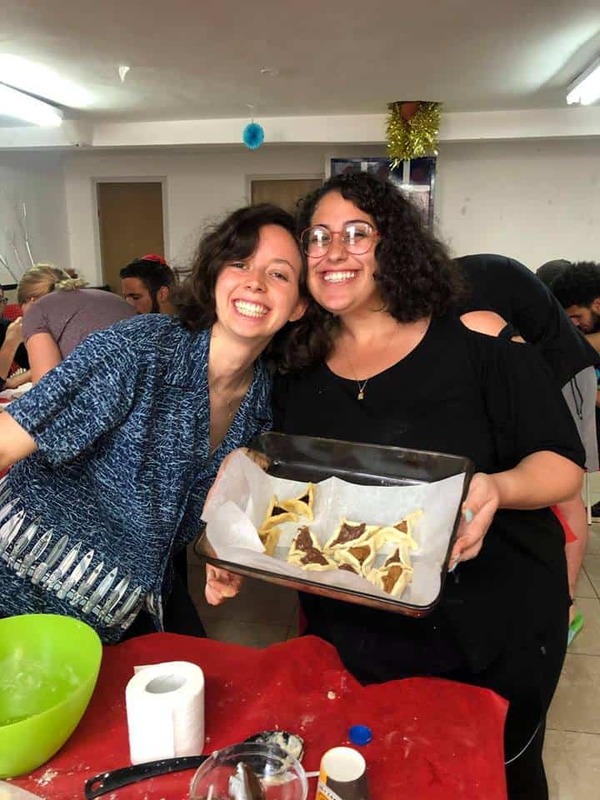 We listened to Purim music, and for some of us it was the first time that we had ever made this delicious Purim treat. 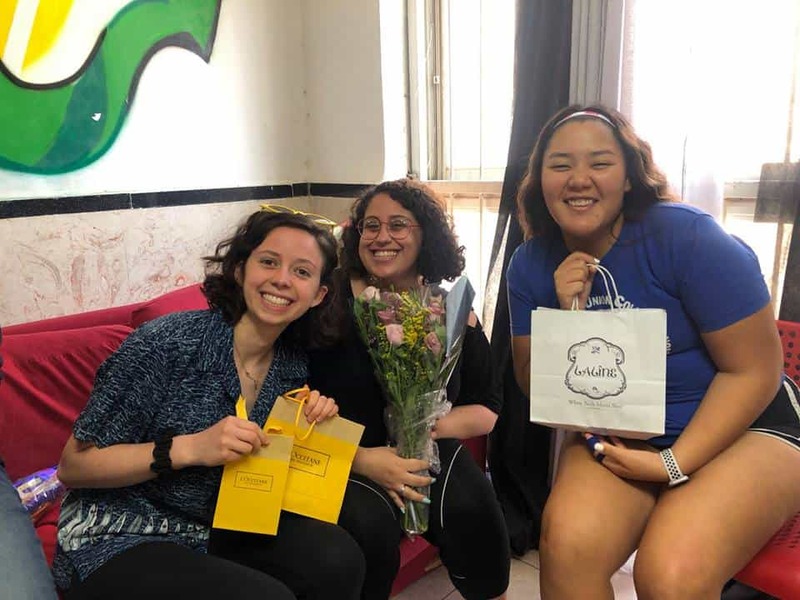 Selah this week spent the morning at the Tel Aviv Kabbalah Center. 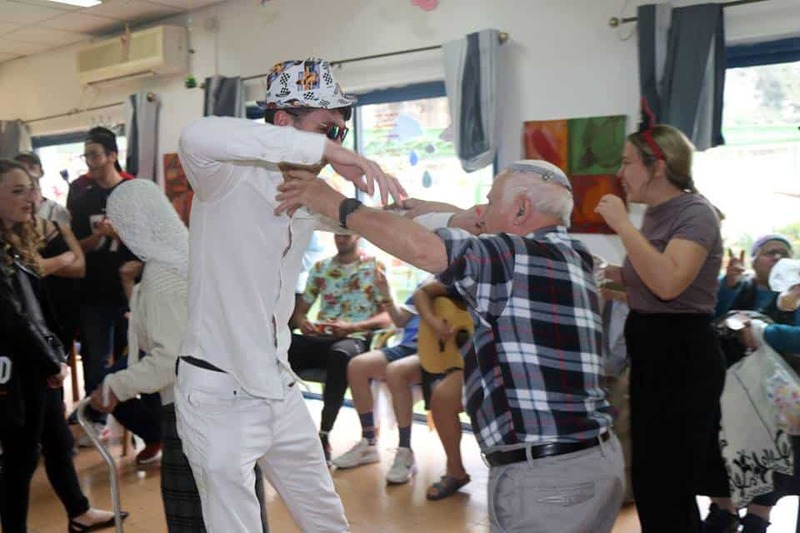 We had an introductory class to some of the mystical aspects of Jewish thought and were treated to a powerful session by a German former Neo-Nazi who found Kabbalah and converted to Judaism. 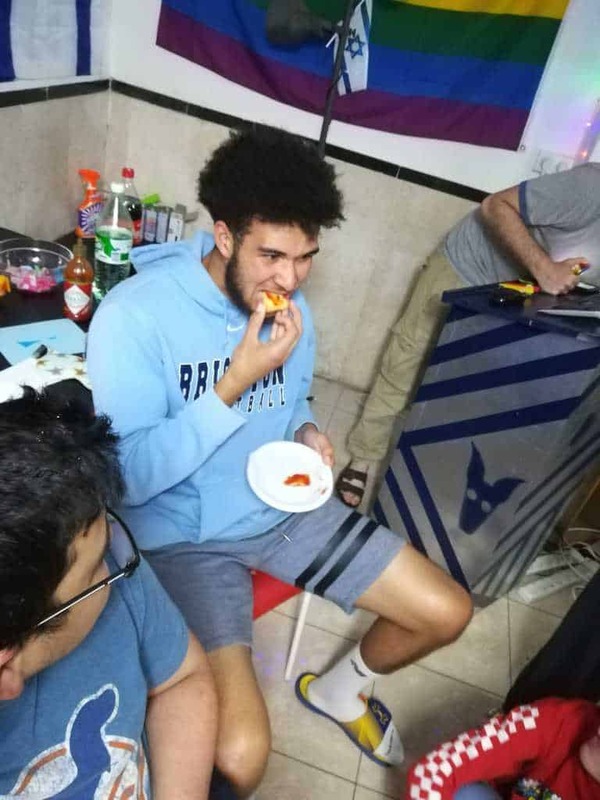 He has just made Aliyah to Israel and has featured prominently on a few Israeli news channels. 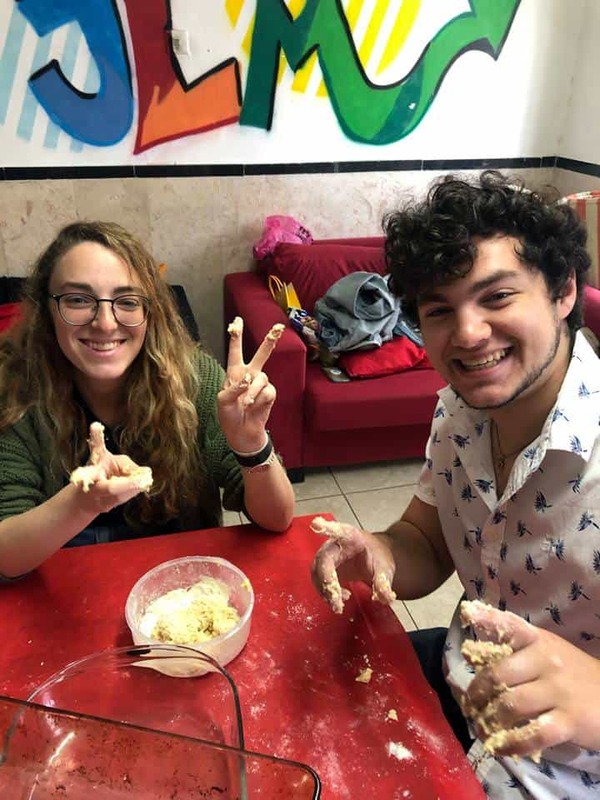 His story was so unique and it was inspiring to hear about the extreme shift from his world of hate and ignorance to his decision to join the Jewish community and his love for Torah. 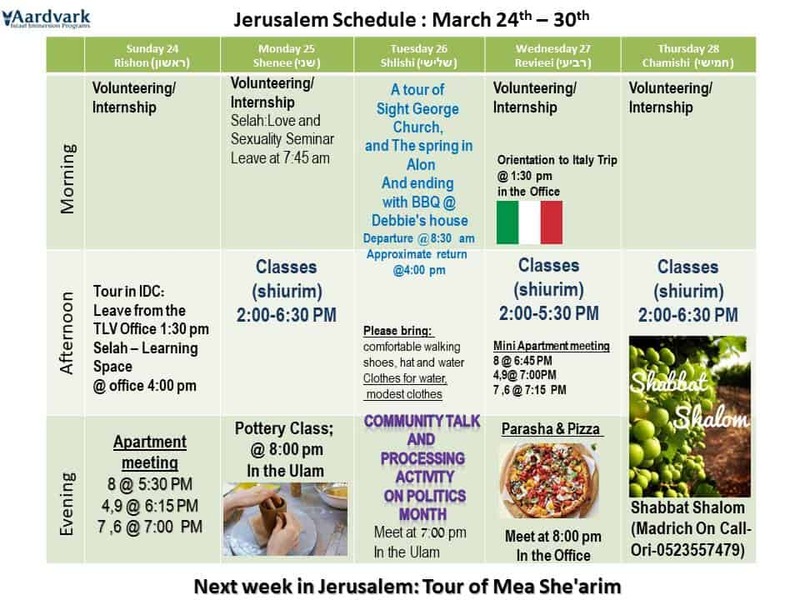 This week, we will be going to Saint George’s Monastery and having a BBQ, as well as making Pesach seder plates!